When you watch a show, you only see half the action. Join Bristol Improv for the drama, both onstage and behind the scenes, of a play with no script – all fuelled by your suggestions! Bristol Improv is the University of Bristol’s improvised comedy society. 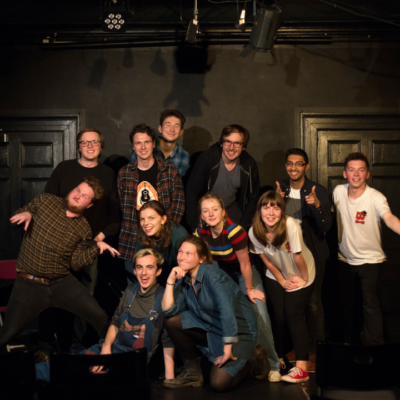 They facilitate new and returning student improvisers engaging in the art of improv through the running of regular shows, scratch nights, workshops and events. This year, for the first time ever, Bristol Improv are taking two shows to the Edinburgh Fringe Festival – one of which is their new longform ‘Bristol Improv Presents: Offscript!’ which is debuting with a two night preview at the Bristol Improv Theatre!